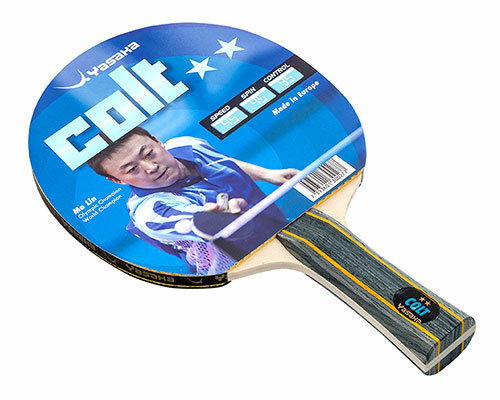 Yasaka bat COLT is a bat suitable for young players, for novice players and recreational play. The bat has an exclusive design. The handle consists of coloured wooden veneers with a four coloured printed lens. Most players prefer the flared handle design for its comfortable fit into the palm of the hand. The ★★ rubber makes spinning the ball.